Some specimens that contain a mixture of minerals will respond best to several wavelengths of ultraviolet. Full-Wave UV requires a SW, MW, and LW fluorescent light. The specimen above is from the Purple Passion Mine near Wickenburg, Arizona. It contains calcite (red), willemite (green), and fluorite (purple). 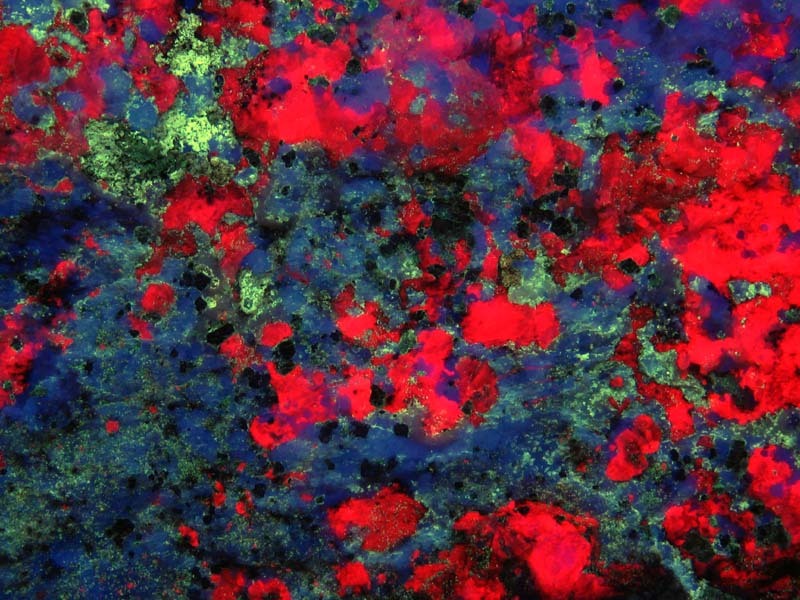 Most fluorescent minerals that respond to more than one wavelength will exhibit the same color in a different wavelength, but one of the wavelengths typically has a brighter response. Three wavelengths are used since there are currently commercial UV fluorescent light tubes available in only three wavelengths.